In light of the tragic train accident which happened in China's Zhejiang province just a week ago and the eerily ironic timing of this blog series of transportation in countries I have traveled to, I had to write about China's trains. 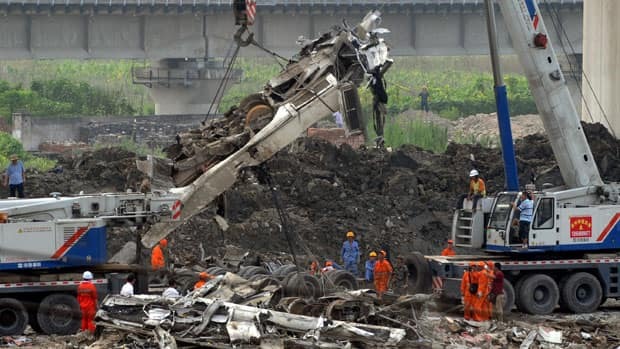 But first, do remember those who lost loved ones in that accident in Zhejiang province, the accident took 39 people and injured almost 200 more. Clean up from the worst train wreck in China since 2008. In a country where at any given moment in time, there are at least 1 million people riding a train in China, you know how heartbreaking an incident like this can be to a nation. The most populous country in the world is interconnected by its railway system. It has 74.438 kilometers (46,235 miles) of train track, making it the most prolific railway builder in the world with addition 6,000 kilometers of track at year. Nearly 2 billion passengers use the railway today and the numbers are growing more and more. 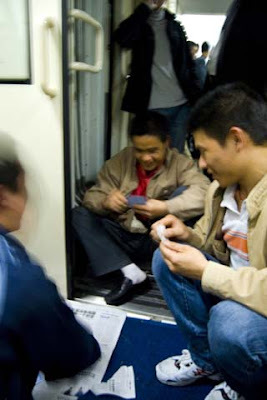 In my personal experiences with Chinese trains (as I spent nearly five whole days in combined travel time on Chinese trains while there in 2008), they are like no other mode of transportation I've ever experienced. 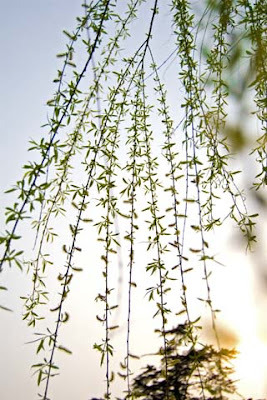 My first experience with one of the most popular lines in the country was within my first 24 hours within China, in Guangzhou in the southeastern corner or the country. I was riding up to Shanghai for what was said to be an 11 hour journey. Being unable to speak Mandarin fluently (or Cantonese in the southeastern province) was very difficult. Life was fast paced and aggressive. Train stations (in major cities) were crowded and stuffy. There were no English signs or assistance anywhere and a very dog-eat-dog world, where if you didn't raise your voice and throw your cash at the ticket collector, you didn't get a ticket. Simple as that. I saw a very elderly woman get physically pushed to the ground while in line by a younger man just so he could catch his train in time. They barked at each other while waiting for the next person in line but no one got anywhere due to the very poor organization. 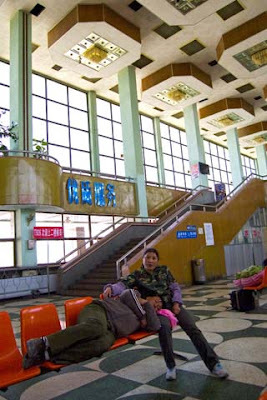 The train station in Dunhuang (northwestern province), a much quieter, less bustling station compared to Guangzhou, Shanghai, or Beijing. Once finally getting my “hard sleeper” ticket and paying a premium price for it, I arrived at the train terminal to wait for the train to arrive. As soon as it was seen pulling in, the fighting began. Every single person began pushing, shoving, yelling, and forcing their way to the edge of the platform with such furiousness that I backed away. I didn't feel like a) dealing with the tension b) fighting for a seat I already had (or thought I did) and c) risk getting pushed onto the track with the train coming through. The train stopped and doors opened and the people inside the train had no prayer of trying to get off before the swarms of people wormed through them to get onto the train as if it was to leave in 4 seconds. What I saw shocked me, but I knew I had a ticket so I took my time. Bad decision. I got onto the train to find that there were no seat assignments. My ticket had numbers on it, but they didn't mean anything. They over booked the train with ease, not even close to accidentally. There were no seats and if seats were somewhat open for perhaps half a cheek to squeeze on, they pushed me off with force. So instead of thinking I was getting a sleeper bed or at least a chair for this 11 hours train ride, I got a small corner of the train directly in front of the rancid toilet room. Which really should be described as a hole to the tracks that has crap and urine peppering the rim of it. The train took off and I saddled up on top of my backpack as the floor itself was sticky and dirty. 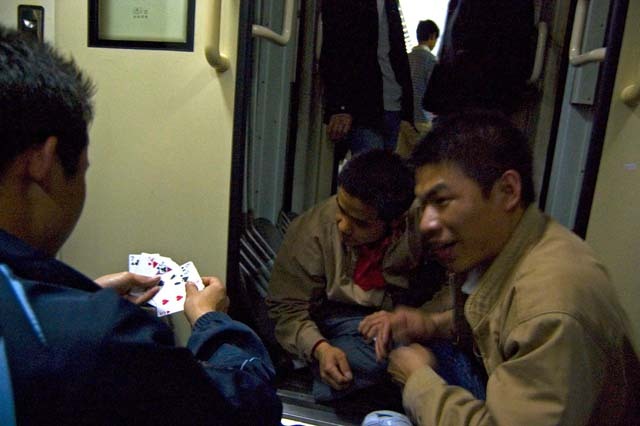 A bunch of men began smoking and playing cards next to me in the extended halls toward the train doorways. They kept the doors open for a bit but once the flies started coming in, and the sun went down, it began to get cold and they shut them. The smoke filled the small cornered room I sat in, which was almost a blessing in disguise as the toilet room just stunk of foul odors, especially since the bathroom door did not shut fully, so it stayed swinging open and slamming back against the frame each swaying of the wobbly train. The men began gambling with their card games and go aggressive. At this point I decided to say “mai pen rai” and embrace the moment. I tried communicating with them and tried watching what game they played on the floor. Cold shoulders and a brush of the open palm to “shoo” me away brought me right back to when my older siblings were playing games that they didn't want me to join. It was a bit disappointing but I could still watch (and take photos). 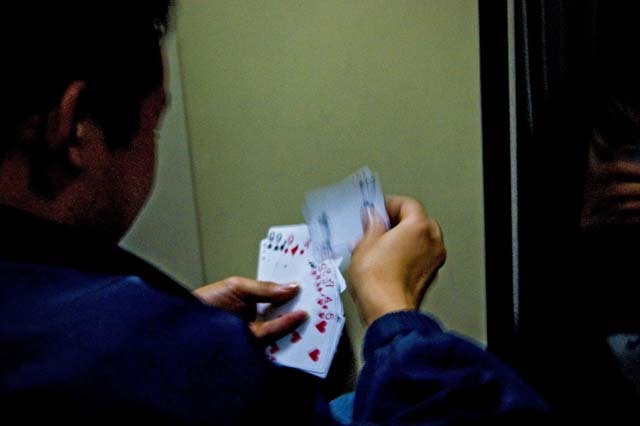 The men sitting next to me crammed into the doorways to play a loud, aggressive game of cards which was highlighted by slamming the cards down with force onto the table and shouting. Perfect sleeping conditions paired with their chain smoking. After about seven hours, and and nighttime falling, and handfuls of the neighboring men falling asleep and snoring, and hundreds of people kicking me as I sat on the floor, all I wanted to do was sleep. No. Way. That was happening. I looked for open seats but as soon as someone got up to go to the bathroom, another would steal their seat for the moment and then argue who's seat it was when the person returned. The water fountain was to my right above my head, and it spat out luke-warm water or steaming hot water for tea. Every person on the train carried their own special glass canister with raw tea in it. They would fill the canister with piping hot water which occasionally splashed onto my head as I read my book (which was dangerously the Dalai Lama's autobiography that I carefully folded the front cover over as it is illegal for his publications to be in the country or be read, but I took the risk). I hadn't eaten anything since boarding and there were no food carts of any sorts. I was thirsty, tired, hungry, and annoyed. The bathroom door slamming. The men smoking. The people kicking me. The water splashing me. The yelling. The smells. The uncomfortable position on the floor. It all was waring on me and I hadn't been in the country for more than 30 hours yet. Come about nine hours into the trip, it got worse. 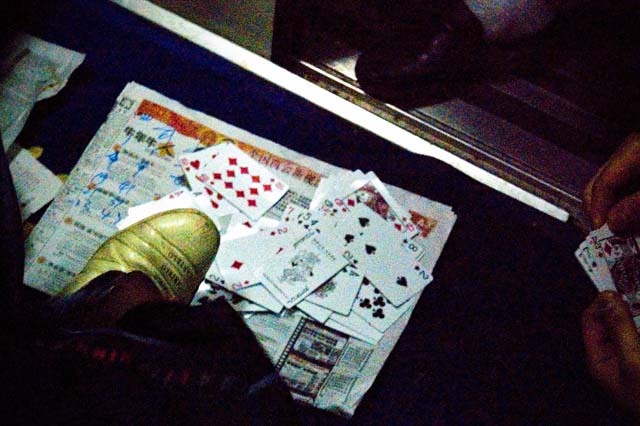 An epidemic began to spread through the train and lines began to form outside of the bathroom, right at my feet. At first I was too delusional to realize what was going on. It was not until someone ran up to the fountain near my head and began vomiting into it when I realized that half the train was getting ill. And they all were coming to MY bathroom to get sick in. “One or two more hours right?” I asked. “Ha!” he shook his head, and pointed to a number on the ticket and then to his watch which read 5:30am. The time on the ticket said 11:00 which is what I thought was to be the total time in hours, but really it was the arriving time. Which meant the train still had about six hours left, so a total of 15 hours. … the nine more trains including ones totaling 15, 17, 13, 24, and 19 hours respectively were actually much more tolerable. Thank goodness. But I learned all my lessons on my first train ride in China, pack food, prepare for delays/the worst, stay hydrated, pay premium for beds, and just take in the journey. It's very difficult not to let the trains be a part of your journey when nearly a quarter of my trip was on one. *Below are some random photos from China, some on trains and some attributed to the trains taking me there. Either way, they all peace together my trip. My traveling panda who was captured on all parts of the trip. 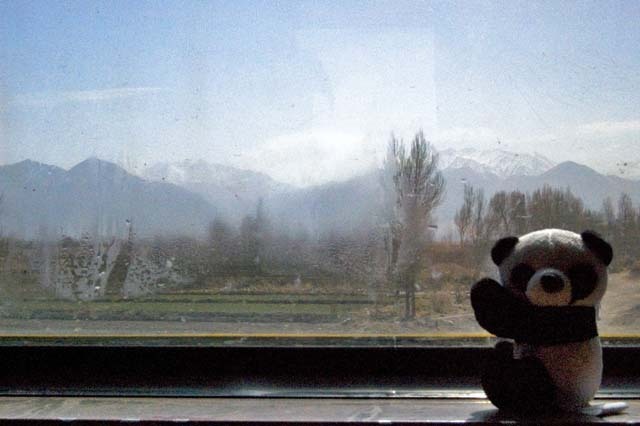 Here he is taking in the views from outside of Jiayuguan on the overnight train. It was a bit chilly outside but he was warm near the heater. Two images from the gardens in Guilin. The longest train ride to get here but the greatest reward; Jiayuguan. 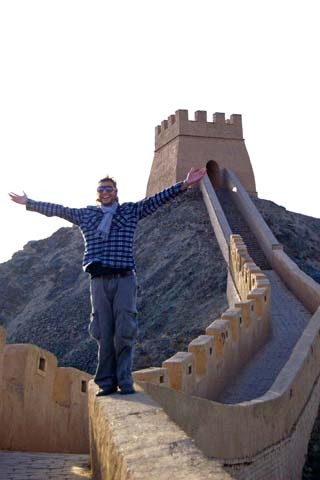 This is the last fort of the Great Wall of China stretching 5,500 miles from the seas near Beijing all the way across the Gobi to Jiayuguan, finally ending with that last fort in the background in the most removed and unknown place I've ever been. Truly amazing and only 24 hours on a train to get there. 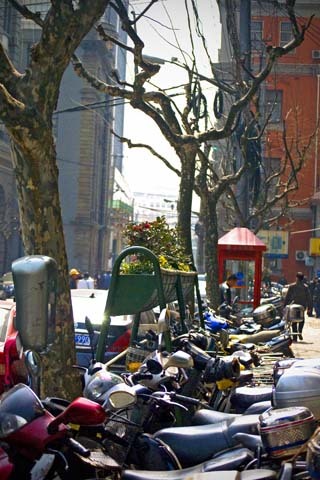 The motorbikes lined up along Shanghai streets. 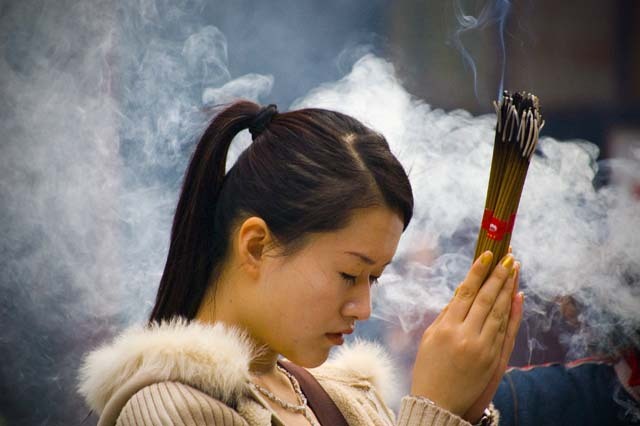 A woman prays at the world famous Jade Temple in Shanghai. 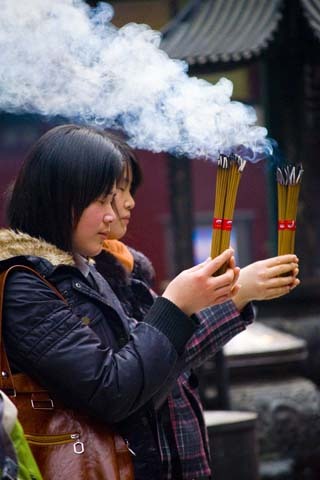 Two women holding incense sticks at the Jade Temple in Shanghai. 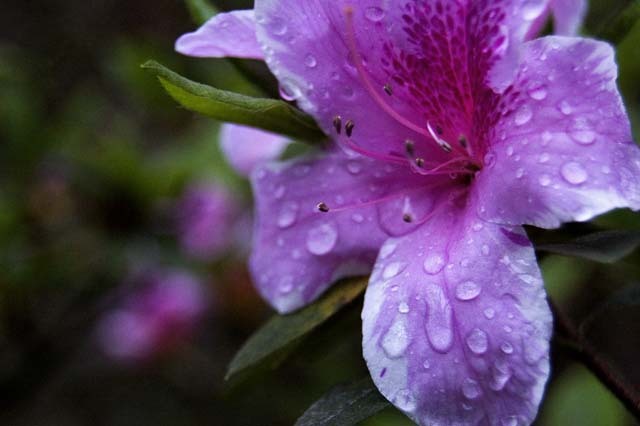 A wet flower in the Panda Sanctuary in Chengdu. When traveling; whether internationally, domestically, to work, from work, wherever, however-- you have time to contemplate your Point A and your Point B. But sometimes the beauty of both points is the in between. I sometimes can recall modes of transportation more vividly than the actual places that I visited, and I find that truly fascinating. It's been more than a year since I've gone on a fairly substantial trip. So to fill my void, I have another travelog broken into three parts. Just recently I flew back home to New Hampshire for an extended weekend. I typically enjoy making the 10 hour drive from Baltimore, but decided against it this time with gas prices and the length of time it takes. I arrived at BWI ready to get home and see my family. But then my flight was delayed due to bad weather in New England (although beautiful in Baltimore at the time). So I sat in the terminal and did some photo editing on the free computer tables with A/C plugs by my gate. As I was getting onto my plane, I saw my flight attendants, gave a smile and grabbed my seat. I turned my phone off, grabbed my iPod and listened to some music before taking off. As Baltimore started to fade into flickering lights below me, my headphones melodically played Beach House's “Teen Dream” album and the flight attendants began asking for drink orders and happily handing us peanuts. 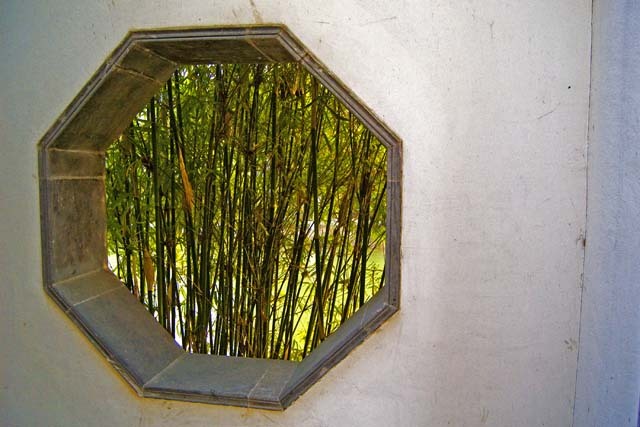 By then I reflected back on past flights I've taken abroad and one stuck out in my head. 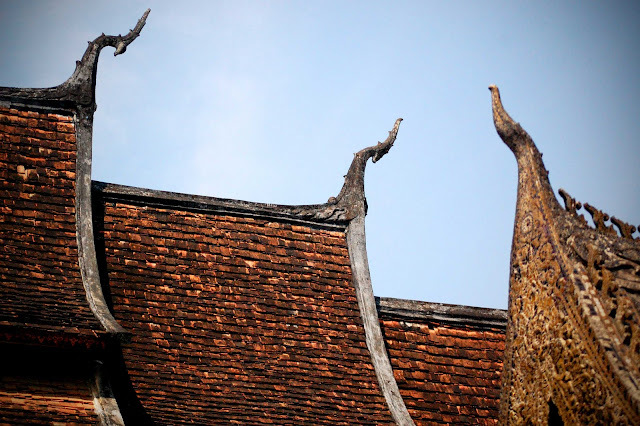 September of 2006, I went on the most life-changing trip (at the time) throughout the heart of the most underrated, unknown, unappreciated, unbelievable country in the world: Laos. Ten days backpacking by myself, meeting the coolest people, eating the most delicious foods and taking some of my best photographs to date. My last day in Luang Prabang, the northern capital of the country, was an emotional roller coaster. I was ecstatic waking up to see the city but knowing by the end of the day, I would be back home in Bangkok with all my friends I missed so much. I then decided to try and save my photographs from my ten days traveling before my cards filled up on my last day. 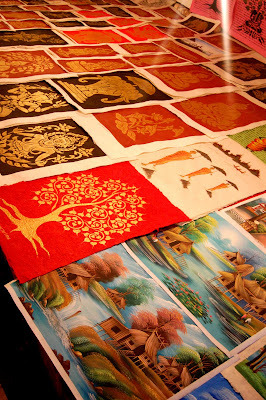 I went to a shop with my new travel-buddy, Anja. She saved her photos on their quite old computer. Then my turn came and went without anything happening but my digital card being unreadable. After a second try, the computer corrupted my entire card, all 1,000+ photos throughout Laos lost. Completely. I broke down. Was beside myself. Couldn't breathe. Couldn't think. It sounds crazy but my photos are my life and that trip couldn't have been captured more perfectly than in those images. I sought refuge my just exploring the city with Anja anyway, trying to clear my head. 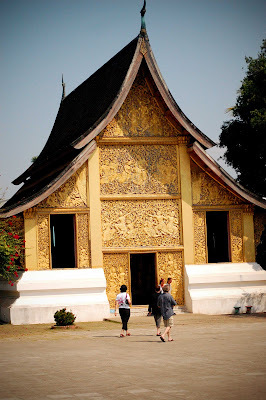 We went to the city's oldest temple, the most sacred, Wat Xieng Thong. I fell in love with the old architecture, the beautiful open feeling of it all and the view along the water. 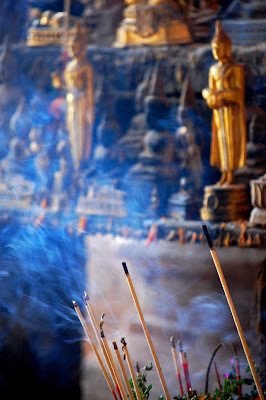 I took a deep breath and let the temple wash over me and I meditated for two hours inside the temple, praying to clear my head of the negative feelings I had about my card being ruined and photos being lost. I left the temple with a more at ease mindset. Inside the Wat Xieng Khong, my refuge for a few hours. The amazing architecture of one of the oldest temples in Asia. 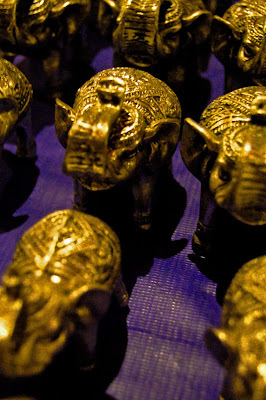 Its gold and bronze stands out above the rest of the temples in the city. Its history is so visual. I arrived at the Luang Prabang Airport ready to go home to my bed. To sleep and forget about my photos and be distracted by my close friends and move on. As I sat in the “waiting room” of the airport the size of the men's t-shirt section of a Wal-Mart, I wanted to call someone; my girlfriend, my mom, my dad, my sister, anyone who could help me talk out the rest of the bad in my head from earlier in the day. But I didn't own a phone and couldn't contact anyone until Bangkok. So I sat and waited on my own. By this time the planes doors have closed and the flight attendants were going through the safety instructions in their native tongue. I wasn't sure what to do. My extremely heavy backpack was weighing down on my shoulders and the brim of my forehead was sweating. The plane began to move into position for take off and this man who was sitting beside his luggage on my seat was not allowing me to take my own seat! By the time the flight attendants realized I was not seated, the plane's engines were ready to go. One attendant rushed up the aisle to me, pushed me up to the front of the plane and told me to “stand here” and pointed at the wall facing the first row of seats. In the current state of shock from earlier in the day, having her tell me to stand upright, as we were about to take off, somehow did not surprise me. The plane picked up speed as the glares from the passengers at the sweaty “farang” man standing in front of the cabin increased. I looked over to the flight attendants sitting in their own seats buckling up for take off as I stood there: all alone, my backpack still on my shoulders, my legs tired, and my mind confused. I could feel us leave the ground and I did my best to stay balanced. Tje last thing I wanted was to fall onto the first row of passengers who watched me struggle to stay upright. Imagine standing on a full subway train in New York City nowhere near a safety pole to hold onto and bracing for the momentum from the train's G-forces in your entire body. Then multiply that by about five and you'll understand how outrageously awkward yet grueling this task was. The plane finally reached its planned altitude and leveled out. My legs never felt more relieved. The attendant asked me why I did not sit down in my seat and I explained to her I was trying to but the man I sat by did not allow it. She seemed baffled. And rightfully so. It was a bit odd, but in all my travels, I never assume. There is always something that isn't as planned but I knew I'd get to Bangkok one way or another, whether its in a seat or hanging by the wing. The attendant escorted me to my seat and told the man to move his luggage for me to sit down. He huffed and snarled at me as if I ratted him out to his mother. The next two hours in the air were silence. The tension radiating off his body because I took his oversize suitcase's seat was raw. He was angry the entire flight. I could have cared less and just wanted to get home. Externally to him, I must have looked as apathetic as possible. But internally there was much more going on. 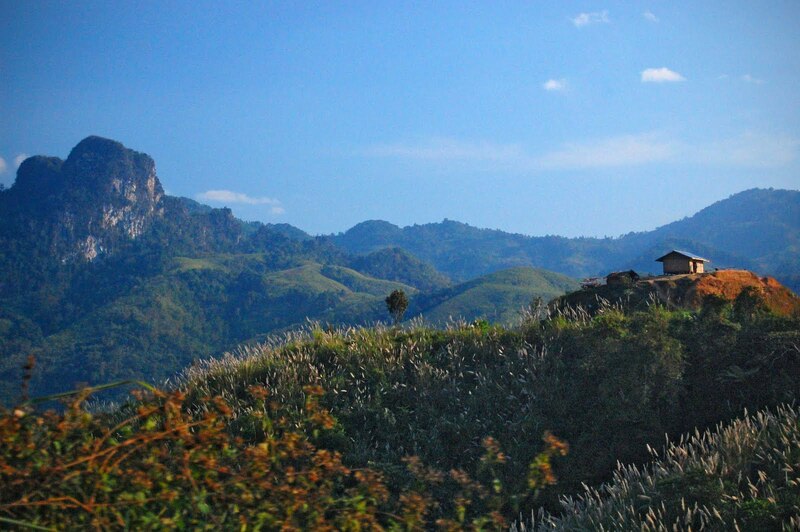 There we sat, looking over the green mountaintops of Laos. One of us irately emotional and the other emotionally irate. 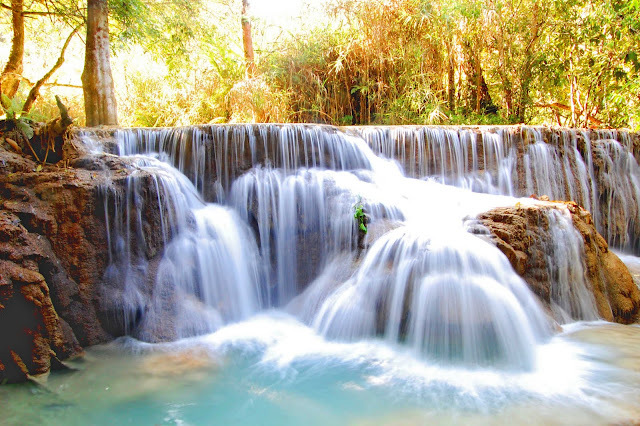 The most spectacular waterfall I've ever seen, the Kouang Si Falls outside of Luang Prabang. 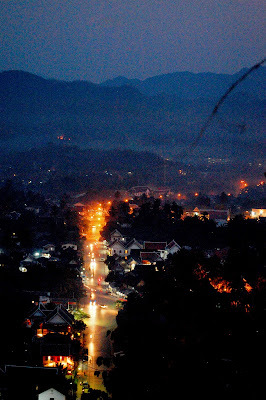 The Luang Prabang traffic view from atop Phusi Hill. 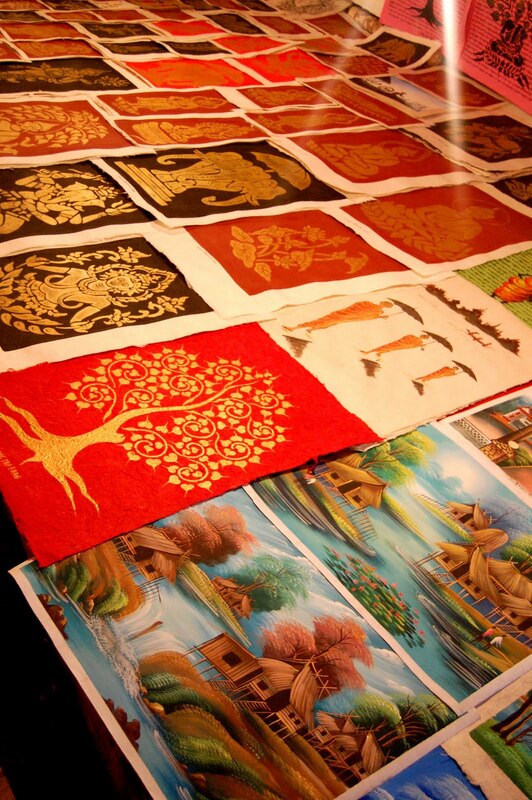 Paintings laid along the roadsides of the Night Market. The Laos countryside up Route 13 north to Luang Prabang.